With the VRS Media theme portals, newspaper publishers can position themselves as regional points of contact for themes including “bereavement“, “family” “wedding“, “birth“, and “congratulations“. 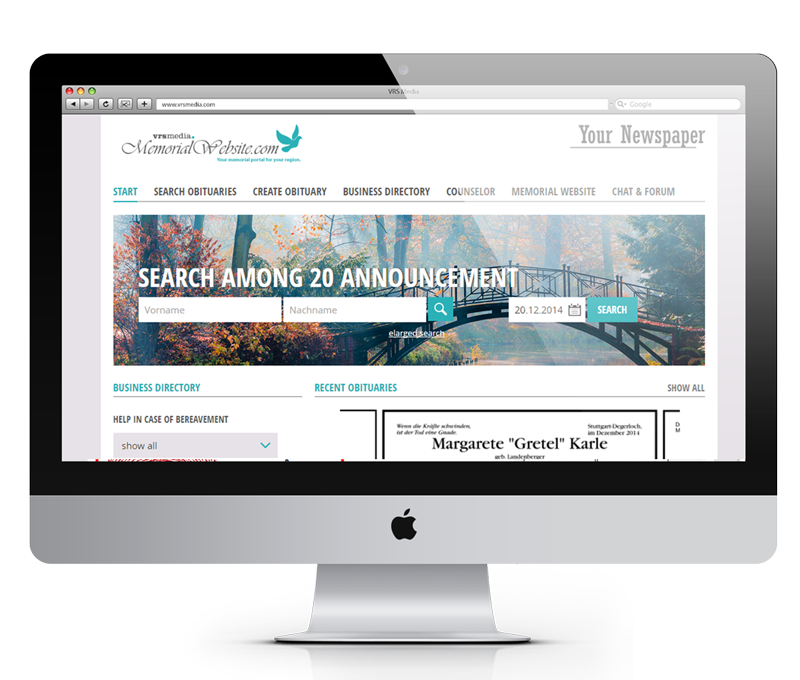 Your readers benefit from added value associated with the publication of family announcements, for example memorial pages, wedding pages, baby pages, virtual gifts, quality advice, community features and more. For the integration of your advertising partners, you can thus create the ideal advertising environment without large dispersion losses. The SaaS Solutions from VRS Media encompasses all aspects – from the data entry of print advertisements, hosting and the creation of editorial content to end-customer support and the preparation of comprehensive marketing materials. 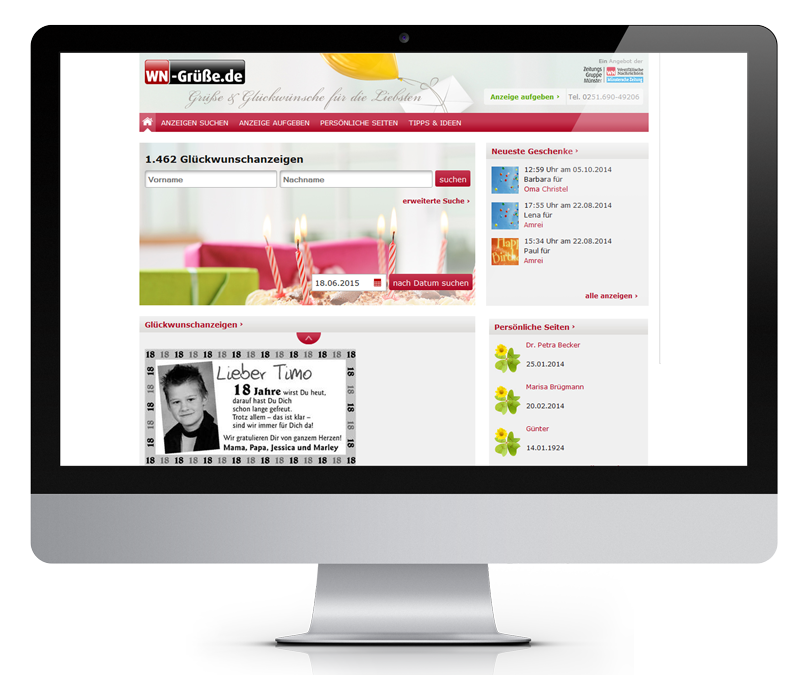 All theme portals are delivered ready-to-use. This includes editorial content as well as the corresponding Content-Management-System. The VRS Media data and service office undertakes the end-customer support and the complete organization of all advertising data. The portal software allows you to adapt your corporate design virtually uncompromised. No co-branding takes place through VRS Media. The publishing house determines the names and even the “Look & Feel” for its own themed world. Die Portalsoftware lässt sich nahezu ohne Einschränkungen an Ihr Corporate Design anpassen. Es erfolgt keinerlei Co-Branding durch VRS Media. 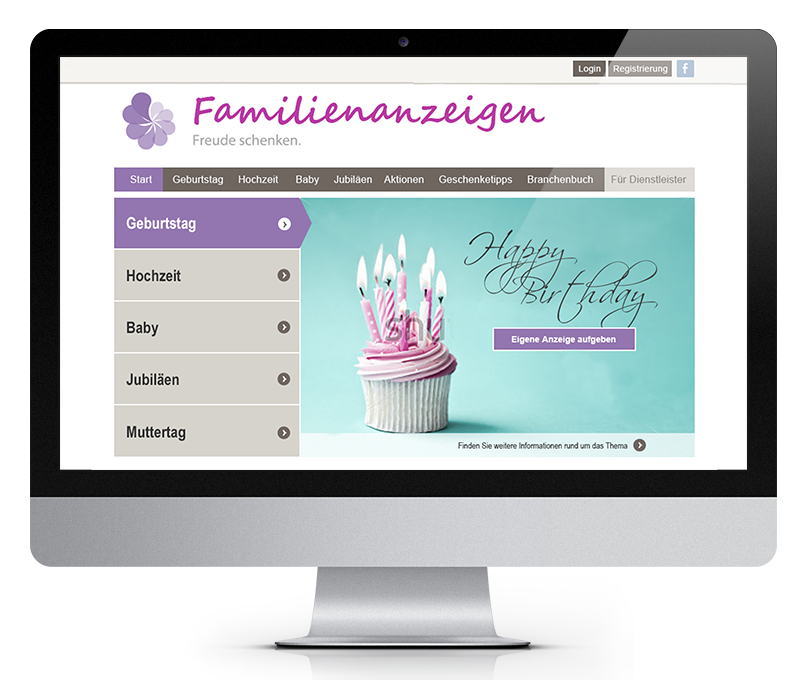 Der Verlag bestimmt für seine Themenwelt den Namen sowie das Look & Feel. The advertising data, delivered as PDF documents via ftp uploads, is parsed and organizationally reworked. Finally, the data and advertisements are displayed on the portal. The ads are then searchable by name and biographical data, can be viewed in two different sizes and can be saved as PDF documents and printed out. Through this form of data enhancement, along with the e-mail address of the portal user, the publisher retains an ideal databank for advertisement upsell promotions (e.g. yearly anniversaries). VRS Media is constantly developing the portals’ technology and content and providing them with new features. All feature updates will be displayed on the portals of the publishing partners after a corresponding announcement. New, additional modules, and should the occasion arise, completely new portal versions will offered (with only additional charges for custom site adaptation) – the development costs for these features are already included in the monthly license and service fees. Once per year via WE THINQ idea platform we discuss with our clients and evaluate possible ideas on how to improve our vrs.FamilyMarkets. Every second to third person in mourning seeks information on the internet, advice and help in their time of grief. With the memorial portal solution, you secure not only the obituary market with respect to the emerging “online only offers,” but you also open up new sources of revenue. The Software-as-a-Service solution includes individual branding and design, a functionally rich business directory, CMS, basis content, memorial pages, and much more. Whether it’s a wedding, birthday or Valentine’s Day, in the family announcement portal, all these joyous categories are considered online. This includes individual congratulations pages, a business directory, as well as advice and content areas. 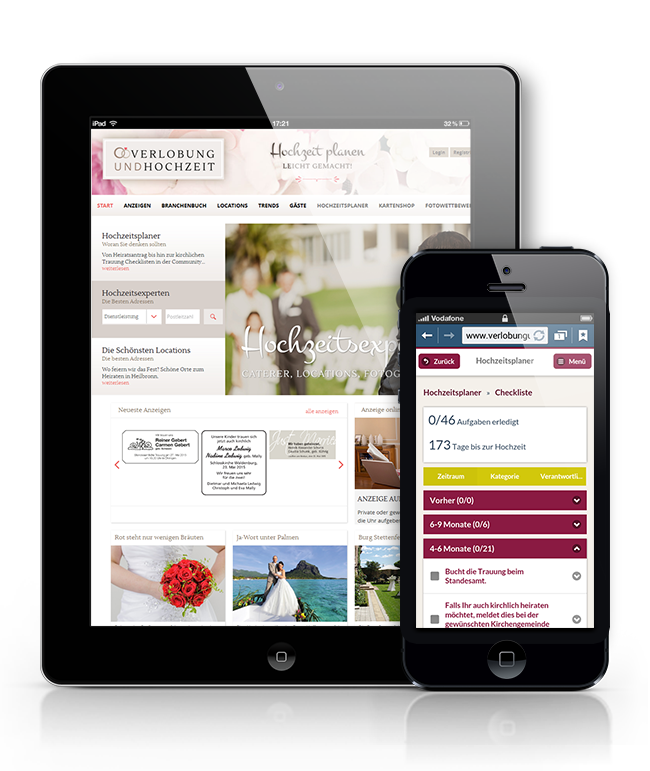 Support wedding couples and guests in your region in their wedding planning with the wedding portal and offer local service providers the possibility to advertise on your portal, providing you the opportunity to generate additional revenue. Whether it’s a Birthday, Confirmation, Communion or an Anniversary, all the “joyous” print ads are placed in your online portal and let your readers send their congratulations online and generate more revenue for you. Offer your readers an entire theme world focusing on the topic of birth and babies. With baby photos and videos, relatives remain up to date no matter how far they are and as such, they accompany the newborn at each new step in life.